Oskia is a luxury British skincare range that believes in taking beauty back to its roots, by utilising natural or naturally derived ingredients that have proven results. Oskia products rebuild the skins nutrition to reveal beautiful, healthy, happy skin that you can be proud of. The range is specially formulated to provide a feast of health and beauty boosting nutrients to the skin. So start from the inside out with their amazing beauty supplements that will help boost your skin care regime. 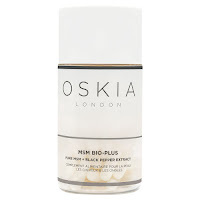 Oskia Pure MSM Supplements is a nutritional food supplement which supports the skin and helps to reduce acne. 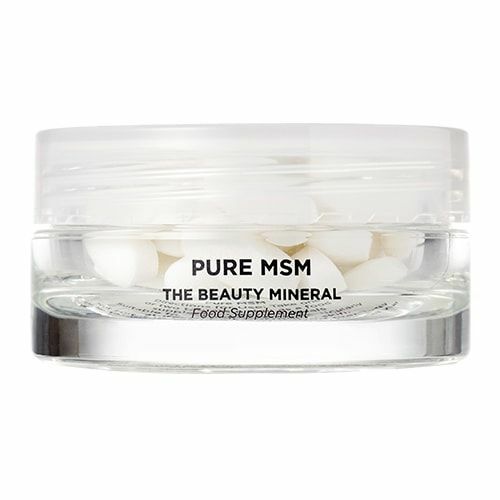 Taking the skincare world by storm, Pure MSM Supplements boosts cellular turnover, stimulates collagen production and reduce acne for a clear, youthful and radiant complexion. Pure MSM Supplements feed the skin from the inside with the most bio-available form of Sulphur which is vital to over 150 bodily functions, systems and compounds to strengthen the structure of the skin and prevent premature ageing. A natural anti-inflammatory, Pure MSM Supplements helps to limit hyperpigmentation and promotes healthier skin through detoxification. Pure MSM Supplements effectively reduces the appearance of acne scarring and soothes eczema, psoriasis and dermatitis whilst visibly enhancing the appearance of the complexion and the condition of the hair and nails. Enhance your complexion with MS Bio Plus. Using an innovative blend of Oskia’s award-winning pure MSM and Black Pepper Extract, this supplement visibly helps reduce acne, fine lines and pigmentation. MSM acts as an anti-inflammatory, detoxifies cells and supports the body’s production of collagen and elastin for healthier-looking, smoother skin. MSM – A naturally-occurring sulphur compound that helps promote a healthy complexion, hair and nails. Black Pepper Extract – Boosts the skin conditioning benefits of MSM.